Liczba stron: 150 Jest to ujednolicona liczba stron, która ułatwi Ci porównanie długości książek. Każda strona Legimi to 200 słów. Previous to the year 1878 no scientific account of the brewing of sake had appeared, the principal papers which had been published being a translation by Professor J.J. Hofmann, of Leyden, of an article from the Japanese Encylopaedia, 1714, and a paper in the transactions of the German Asiatic Society of Japan by Dr. Hofmann, then Professor in the Medical School of the University of Tokyo. In December, 1878, Mr. O. Korschelt published an elaborate paper on the subject in the same transactions, in which he gave a detailed description of two processes used in Tokyo, and the results of special experiments made by himself, after which it seemed that very little more could be said. But continued study of the brewing-process has yielded results which enable us to explain with greater accuracy the chemical changes involved in the manufacture, and although much yet remains to be achieved, the present essay will, I trust, be accepted as another rung in the endless ladder of scientific investigation. In carrying out this research I have been assisted in very various ways by a number of friends, all of whom it would be impossible to mention individually, but I should with reason incur the charge of ingratitude did I not put in the front rank Mr. Kato, President, and Mr. Hattori, Vice-President, of the University, to whom indeed the very existence of this memoir is owing. My thanks are also due to Mr. Jihei Kamayama and to Mr. Tobei Isuka, of Yushima, Tokyo, Proprietors of the koji and sake works, respectively; to Mr. Mansuke Izumi, of Nishinomiya, and to Mr. Shinyemon Konishi, of Itami, to all of whom I owe much valuable information. To M. Pasteur I am indebted for permission to make use of plates 17, 18, and 19, taken from his “Etudes sur le Vin”. Without the cordial cooperation of my assistant, Mr. Nakazawa, my task would have been much more difficult, and thus publicly I desire to acknowledge my indebtedness to him. Plate 16 I owe to Professor Ewing, and Professor Cooper has with the greatest kindness looked over the proofs for me. The substance of Part I of this memoir was communicated to the Royal Society of London in a Paper read on 10th March 1881. The printing of the memoir was carried out at the Government Printing Office (Insetsu Kiyoku), and the plates were engraved by the Gengendo Engraving Company. The accompanying French (metric) and English equivalents of the Japanese weights and measures used in the text will prove of assistance to those who are not familiar with them. 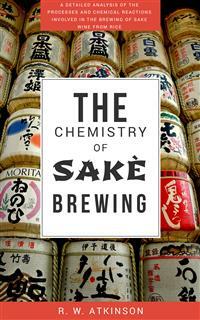 It is probably impossible now to ascertain when the art of brewing first became known to the Japanese. Tradition ascribes its introduction to some emigrants from Korea about the end of the third century, who doubtless obtained the knowledge from China where it had long been practices. How improvements were introduced we can only surmise, but it is known that about the end of the 15th century, the two districts of Itami and Ikeda had established their superiority over all others, a position which, together with Nishinomiya, they hold to this day. About 300 years ago a very important improvement was effected relating to the preservation of the sake which, in the hot months of summer very quickly became undrinkable. This consisted in heating the sake to such a temperature that the hand could not bear it, but, although answering the purpose for a time, it did not suffice in the manner in which the heating was carried out to permit the liquid to be kept for any lengthened period. Nor has any important alteration in the process of manufacture been introduced since that time notwithstanding the trouble entrailed upon the brewer by the repeated heating of the sake which is necessary, but it is hoped that the suggestions made in this memoir may have the effect of directing attention to the important and efficient process introduced by M. Pasteur for preserving wine. I am indebted to Mr. Shigetoshi Yoshiwara, Vice-Minister of Finance, for the following statement of the quantity of the various kinds of alcoholic liquids produced in the year ending September 30th, 1880. The estimated amount of revenue from alcoholic liquers for the year ending September 30th, 1881 is 10,795,025 yen, the total estimated revenue being 56,616,907 yen. The former estimate is much greater than the actual yield of the past year, owing to the considerable changes which have been made both in the amounts and in the mode of collecting the taxes. * The amount of the different kinds of sake given in the table above is 5,207,970 koku, or 206,756,409 gallons, but this number does not express the total quantity consumed, for without any doubt, much sake which is not taxes, is prepared in private houses in the country. Taking into consideration only the amount of ordinary sake used, say 5 million koku, or 198 million gallons, the consumption corresponds to 6 gallons per head per annum reckoning the population at 33 millions. If it were diluted twice so as to be about the same strength as beer, the consumption would be doubled, that is 12 gallons a head, whilst the consumption of beer in England averages 34 gallons per head, nearly three times as much as in Japan. The brewing of sake is, therefore, relatively of less importance than that of beer in England, and this is doubtless to be ascribed to the enormous consumption of tea, which serves at all times, in summer and in winter, as the national beverage. The study of the chemical reactions involved in the brewing process described in the following pages has brought to light a fact of some importance relating to the physiology of plants, vis. that the growth of a mold over the surface of perfectly dead rice grains causes a change in the character of the albumenoid matter of the grain resembling that which results from the germination of the embryo of similar grains. I cannot omit here to draw attention to the mutual advantage to be derived from an association of workers in industrial and in pure science; the cooperation cannot but be of the greatest utility on the one hand, by suggesting new subjects for research to the theoretical worker, and on the other, in aiding the practical man to attain the best results possible. The student of science in Japan has a wide field before him; that system of isolation which has prevented the introduction of Western knowledge till within the last quarter of a century has not been entirely fruitless, for it has resulted in the development of industrial processes which are as novel and interesting to the European as those of the latter are to Japanese. The scientific students of the university and colleges of Japan need not, therefore, look very far in order to find subjects that require investigation and explanation, and this search will, without doubt, add largely to the sum total of existing knowledge. *. The estimated revenue derived from the production and sale of alcoholic liquors given above differs greatly from that which appears in the Estimates of the Minister of Finance for the year ending June 30th 1881. The number there given is 5,965,029 yen, or very little more than one-half the estimates for the year ending three months later. The explanation of the difference lies in the fact that since the Estimates of the Minister of Finance were published the taxes have been doubled. The grain from which alcohol is produced in Japan is the same as that which forms the staple article of diet for all classes, vis. rice, and its cultivation employs the labor of the greater number of the population. According to the Official Catalogs of the Japanese Exhibits at Philadelphia in 1876, and at Paris in 1878, the total area of paddy land is 1,611,130 cho (3,947,268 acres), and the yield of rice amounts to 28,000,000 koku (138,964,000 bushels), giving an average yield of a little more than 35 bushels per acre. The numbers given by General LeGendre in his work “Progressive Japan,” are larger than these, but are said to have been obtained from the Finance department, being the results of more recent surveys. He says “According to recent surveys (1874-78) the area of rice fields in Japan is 2,539,090 cho and 47 tan, and the area of other fields (Miscellaneous cultures) is 1,732,449 cho and 73 tan (Figures procured at the Okura-Sho).”* Further on he gives the total quantity of rice produced as 34,394,787 koku, a number also furnished by the Okura-Sho (Finance Department), and from these the average yield of rice is calculated to be a little more than 27 bushels per acre. These numbers include rice of all kinds, several hundred varieties, but of these there are only three which are sufficiently well marked to particularize. One variety is called Okabo, and is grown in dry fields, whilst the two others, common rice (uruchi), and glutinous rice (mochigome) are grown in paddy fields. It is said that the upland rice (okabo) is well suited for brewing purposes because it leaves very little residue, but I have had no experience of its use for that purpose, that which is almost universally employed being the common rice (uruchi). Glutinous rice is never used for the brewing of sake, the reason given being that the liquid prepared from it would rapidly putrefy, but another possible reason is its greater cost. The best qualities of rice come from Mino, Higo, Ise, Owari, Totomi, and Hizen. The next best are from Boshiu, Tamba, Tajima, and the third quality from Kadzusa, Shimosa, Musashi, and Kaga. The following analyses of the two kinds of rice were made in the University laboratory. No essential difference in chemical composition between the two kinds of rice is disclosed by the foregoing analyses, but the two grains can be distinguished at the first glance after removing the husk, the common rice being translucent, whilst the glutinous rice is white and opaque. The name “glutinous rice” is given to the latter, doubtless, from the peculiarity it possesses of forming, when steamed and beaten, pasty lumps of great tenacity, a property which is not shared by the common rice. It is a similar property to that possessed by wheaten flour, and in that grain is due to the presence of a peculiar nitrogenous body galled “gliadin” which is not present to any marked extent in other grains. This substance is soluble in hot alcohol and if it were present in glutinous rice might be expected to be found in the alcoholic solution, but experiments made for that purpose have not shown any great difference between the two kinds of rice in the proportion of albumenoids dissolved by alcohol. Nor is there any difference in the amounts soluble in cold water; the only essential difference I have been able to detect is in the action of iodine solution upon the flour, that of common rice being colored deep blue, like starch, and that of the glutinous variety red, like dextrin. The cause of this difference more probably lies in the nature of the albumenoids than in the proportion of dextrin. The weight of a given bulk of rice varies considerably according to the way in which it is packed, and in calculating the weights of rice used in sake-brewing from the volume, I have taken what may be considered a fair average, vis. 40 kuwamme per koku. This is founded upon the following direct weighings. One sho of the specified kinds of rice was loosely placed in the measure, and without shaking, carefully levelled; each number is the mean of seven weighings. When the rice was tightly packed, that is, after being well shaken down, the average weight of one koku was 42 kuwamme, and as a rough average between the weights when loosely and when tightly packed, 40 kuwamme per koku will not be far from the truth. The rice grain is a complex structure formed of a great many distinct parts, some of which can be readily parted by ordinary mechanical appliances, while others can only be separated by special means. Of the former is the hard outer coat, itself composed of several different parts, which is generally removed by the farmer as chaff before the rice is sent into the market. The hulled grain, in the form in which it is bought for food consists of three easily discernible parts, a thin, yellowish skin on the outside (the testa), within this the white starchy matter which constitutes the nutritious part of the grain (the endosperm), and at the lower end a portion of a different appearance, usually horny and shrivelled looking (the embryo). Immediately below the testa the cells of the endosperm do not differ in general appearance from those in the interior, but the greater part of the albumenoid matter of the endosperm is accumulated in these cells. An excellent test for the presence of albumenoids is mercuric nitrate; if a section of a grain of rice be steeped in such a solution those portions which contain albumenoid matter become colored rice, whilst the rest of the grain remains uncolored. When a thin slice of the unwhitened grain is thus treated the cells forming the testa have a somewhat greenish color and can be sharply distinguished from the layer immediately within, which is deeply colored red. This coloration extends inwards for a distance a little greater than the thickness of the test, but the form of the cells thus colored does not appear to be different from the remainder of those forming the endosperm, and which assume no coloration. In a similar section of whitened rice the outer layer of greenish, square cells is not seen, and the edges present a jagged appearance, but the outer cells are as strongly colored red as before, showing that only a small portion, if any, of the cells containing nitrogenous matter has been removed. In fact, the thickness of the layer colored red cannot be said to have perceptibly diminished. The red coloration is not uniform but is distributed over numerous points, being stronger near the testa and becoming fainter away from it; under a high power distinct points of red matter can be distinguished; these are the aleurone grains. These analyses show that the ash, oil, fibre, and albumenoids are contained in large proportions in the bran. Together with the testa, which is mainly fibre, or cellulose, the embryo is removed, and it is from that source that most of the fat and nitrogenous matter is derived. Notwithstanding the large percentage of albumenoid matter contained in the bran, that in the whitened rice has not very greatly diminished: thus in one specimen which contained 7.4 percent before cleaning, afterwards 6.9 percent was found, the proportion of moisture being the same in each. As the bran contains so much nitrogenous matter it might have been expected that the grain after whitening would have shown a marked diminution; that it does not do so is owing to the fact that the whitened grains are selected, those which are unbroken being separated from those which have been much broken. Thus there result on the one hand grains broken into minute portions containing very little nitrogen, and sold to the same maker, on the other, the unbroken, whitened grains containing still almost all the protein matter of the endosperm, and deprived of testa and embryo which together form the bran (nuka), and contain the largest percentage of albumenoids. The following analyses of the whitened rice grain are given because from them the samples of koji, the composition of which is given afterwards (see Table 8) were prepared. A is the rice used for making koji at the Yushima works; B is the rice used at the Tokyo brewery in the operations described in Part II. Table 4: Composition of Whitened Rice Dried at 100˚ C.
*. Progressive Japan. Note at the foot of the table given at the end. *. Trans. Asiat. Soc. Japan, VIII. 393.